As expected due to the extended heatwave and the record temperatures, Portugal saw parts of it’s Algarve region being decimated by sweeping forest fires which were battled by more than 700 firefighters. Meanwhile, temperatures near the Lissabon area approached record levels. In Monchique, in the southern Algarve region, some 1,000 hectares of forest were consumed by raging fires which forced evacuations from the surrounding villages. The Portuguese Civil Protection Agency explained that the fire spread so rapidly because of the dryness of the dense undergrowth and the eucalyptus trees in abundance. Hot air entering from North Africa means the Iberian peninsula, which houses Portugal and Spain, experienced the most severe heatwave since 2003, which accidentally was one of the worst years on record for forest fires. 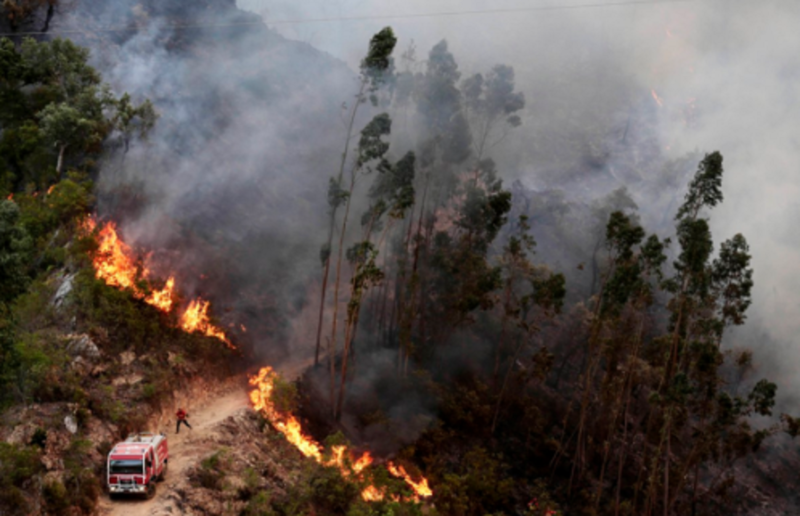 Portuguese authorities are keen to avoid a repeat of last year’s forest fires, which killed a record 114 people. By introducing various emergency measures like text alert systems they want to be able to reach those in far off villages to evacuate quicker. Meanwhile, in neighboring Spain, three people died from heatstroke. A road worker died whilst on the job in Murcia, near the Andalucian coast, whilst the other two were elderly homeless people in the cities of Sevilla and Barcelona. Record temperatures of above 112°F are expected to continue well into next week for Portugal and parts of southern Spain. As Europe experiences its longest heatwave on record since 2003, forest fires have now taken place in Greece, Sweden (which experienced it’s hottest July in 250 years) and Portugal.